Jackola shared NAP DNB’s event. A special Halloween event. 2 ROOMS! MULTI-GENRE! TRICKS & TREATS! 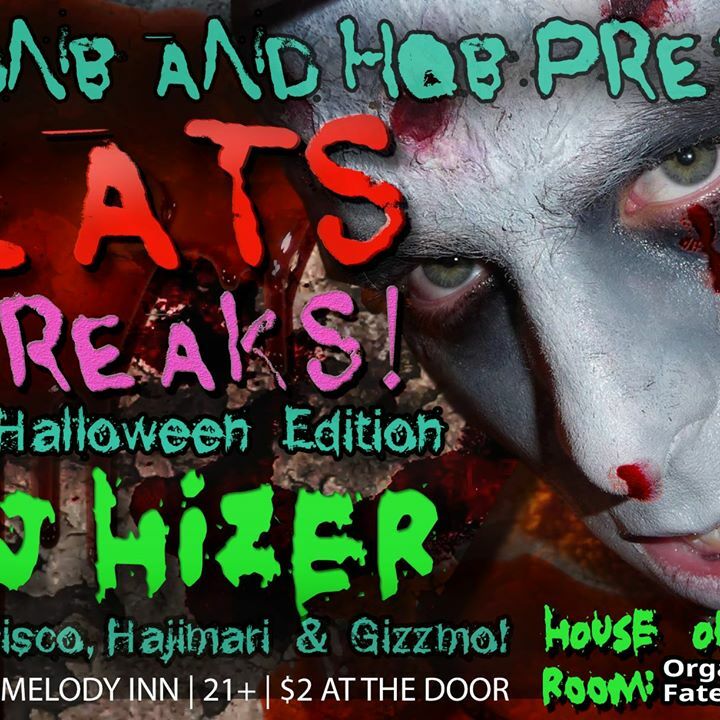 At a young age, DJ Hizer developed a passion for the percussive elements in music and was he always most comfortable banging rhythms on a drum. Having such a strong love for beats made for an effortless transition into the DJ booth and his sets are always driven by strong drums and tribal components. With darker techno influences such as Marcel Dettmann and Stephan Bodzin, DJ Hizer always delivers very strong and driving performances which never fail to capture the dance floor. >> and @[137895029717585:274:Gizzmo] in the main room. Records drop from 10 PM through last-call.